Spec Ops: The Line developer Yager Development is coming back to the video game world in a big way, and I do mean a big way. Its newest game, Dreadnought, is all about size, rewarding gamers for figuring out the best way to use massive ships in huge battles of aerial supremacy. A recent video showing off the game's combat explains that those who take the time to build a massive ship in the game's team deathmatch mode will fare far better than those who jump into a light ship and pray for the best. The biggest ships in the fleet are nearly impossible to destroy, and when teamed up with an engineering ship, you better hope your enemy has better plans than just blindly firing into your hull. Positioning also plays a huge part in battle. Because ships move so slowly, positioning weaker ships behind a larger ship could provide them with the ever important shield. As enemies slowly maneuver around, they must in turn deal with your ship's incoming fire. Clearly, this is a teamwork game, and Yager obviously is aiming for it to be a thinking man's multiplayer game. I don't think blindly charging in like Call of Duty or Battlefield is going to cut it. This sadly also means it won't do so well, just like Spec Ops: The Line. 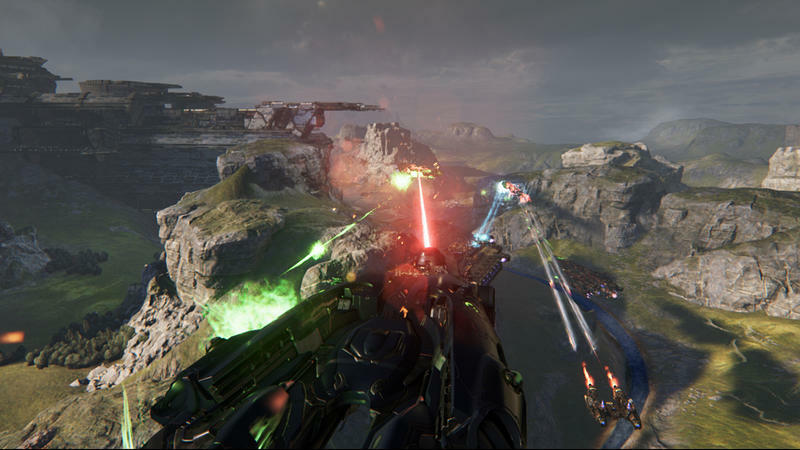 Dreadnought will be released by The Gray Box on the PC in 2015.